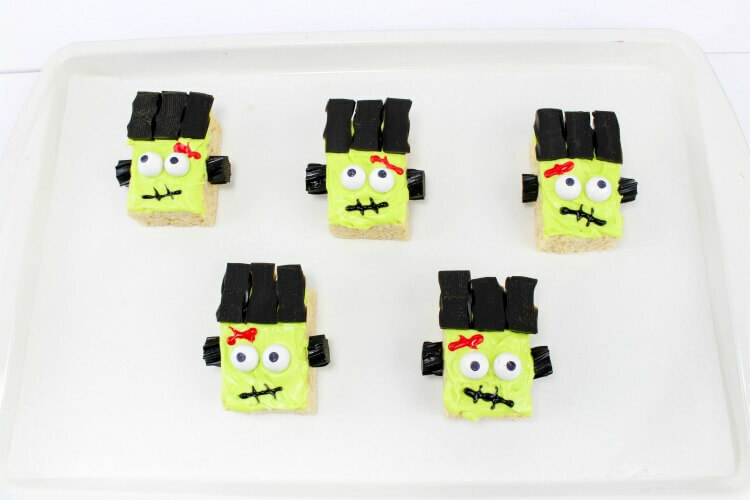 My 7 yr old daughter saw these Frankenstein Monster Rice Krispies Treats and just freaked out. She could not wait to get her hands on one. They just came out so, so cute! She calls them Rice Kripsies, and I just think it’s so cute, I never correct her. 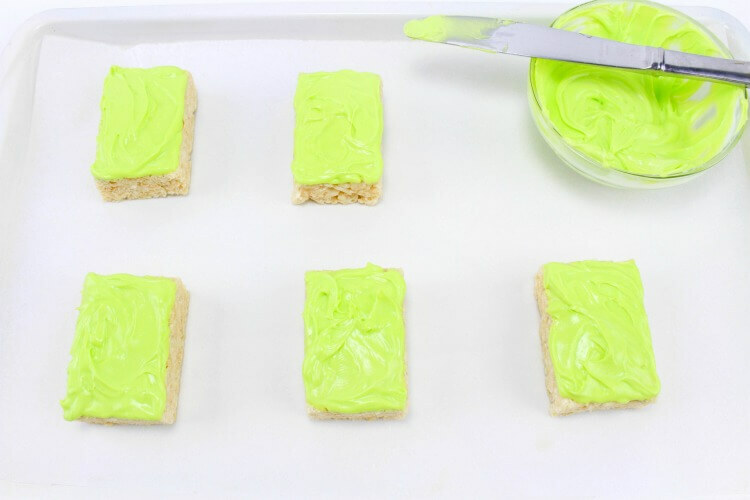 If you’ve got a little one with a class party, the kids will love these. 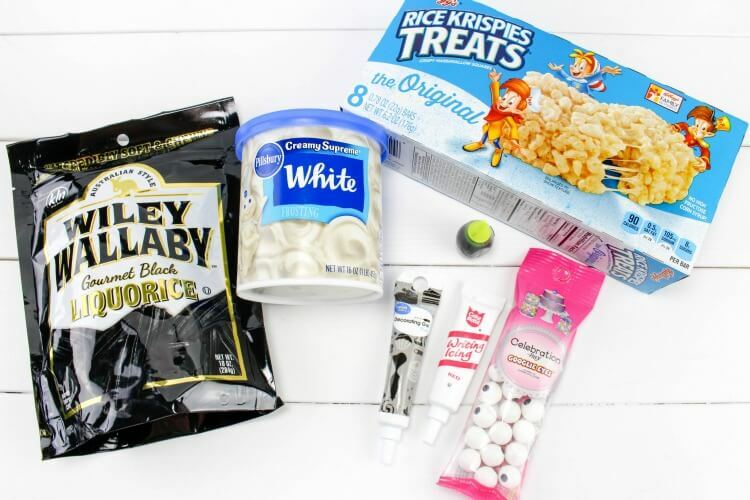 And you don’t even have to make the actual Rice Krispies part. 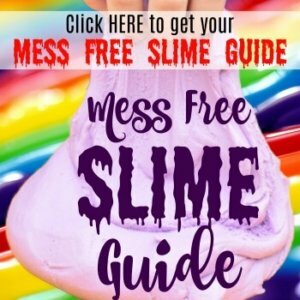 You can just do store bought! Cut licorice pieces into about ¼ inch rounds so you have two for each head. Cut 12 licorice pieces in half lengthwise so you have 24 pieces of hair. 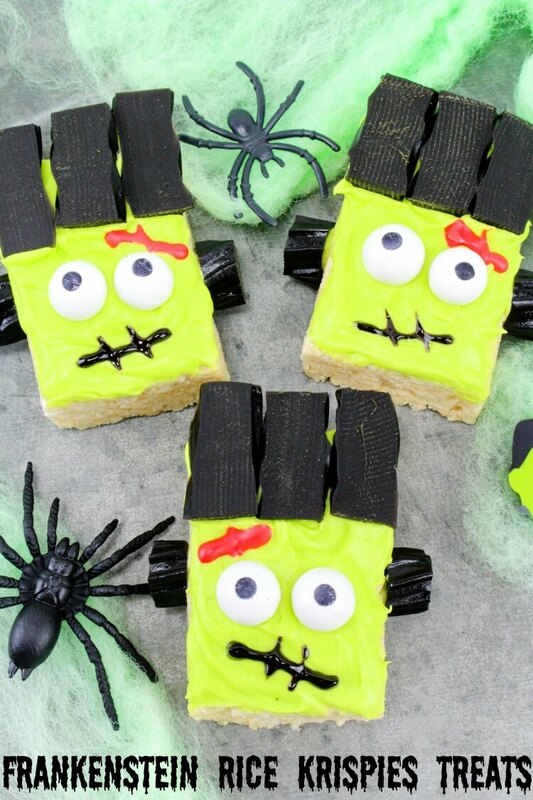 Lay 3 pieces of licorice hair at the top of each treat, and press 2 eyeballs on each one. 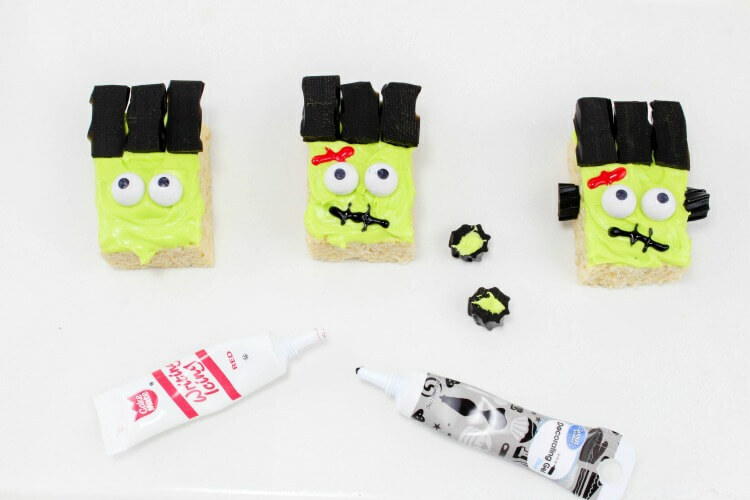 Draw a little red scar above one eyeball with the red gel, and draw a mouth on each with the black gel. 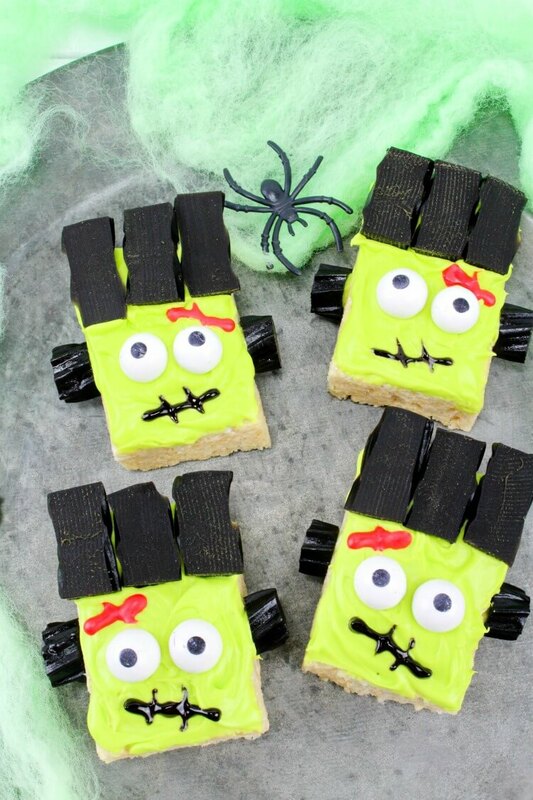 Put a dab of frosting on each bolt and press one on each side of the treats so that they line up about where the eyeballs are. 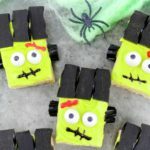 Great little spooky Frankenstein treats for your Halloween party! Cut licorice pieces into about ¼ inch rounds so you have two for each head. 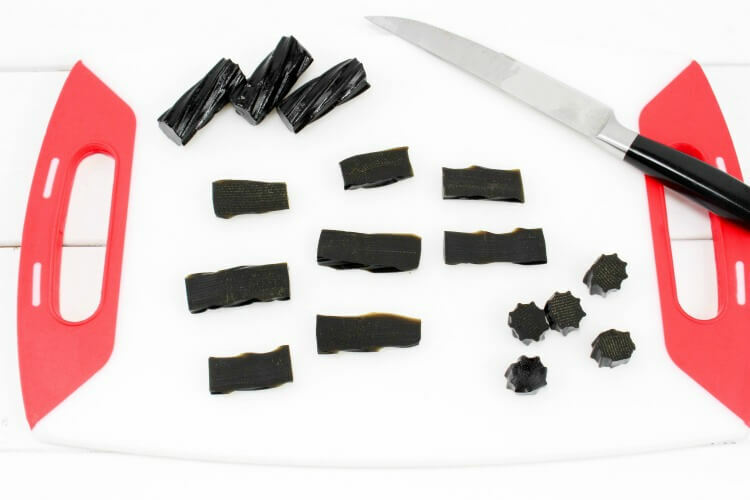 Cut 12 licorice pieces in half lengthwise so you have 24 pieces of hair. 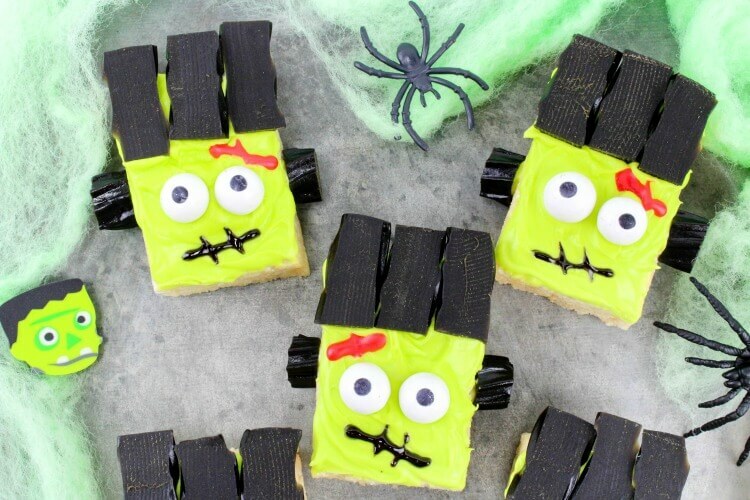 What’s your favorite treat to bring to the kids’ class Halloween parties?